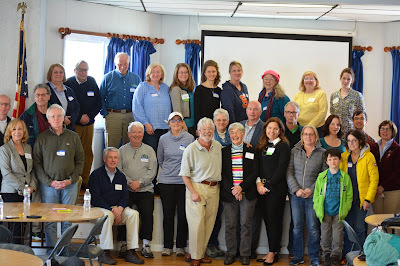 Nearly 30 people gathered at the Savin Hill Yacht Club on Saturday morning to discuss the current state of the public beaches in Dorchester -- Savin Hill, Malibu, and Tenean -- and to express their likes, dislikes and visions for these beaches. It was the fourth in a series of nine public hearings being hosted by the Metropolitan Beaches Commission (MBC) in the region’s beachfront communities as part of the process to write a report with findings and recommendations for the Commonwealth. Commission Co-Chair Representative RoseLee Vincent of Revere opened the hearing by welcoming folks and encouraging them to engage deeply. Co-Chair Representative Vincent told everyone that while she is very proud to represent Revere, she was “really here today to listen to all of you and find out what the big issues are here in Dorchester.” Local Commissioner Paul Nutting of the Friends of Savin Hill Shores thanked his fellow commissioners for coming to learn about Dorchester. Leo Stella, Policy Director for Senator Nick Collins and Dorchester resident, welcomed those in attendance and thanked everyone for joining in the conversation. 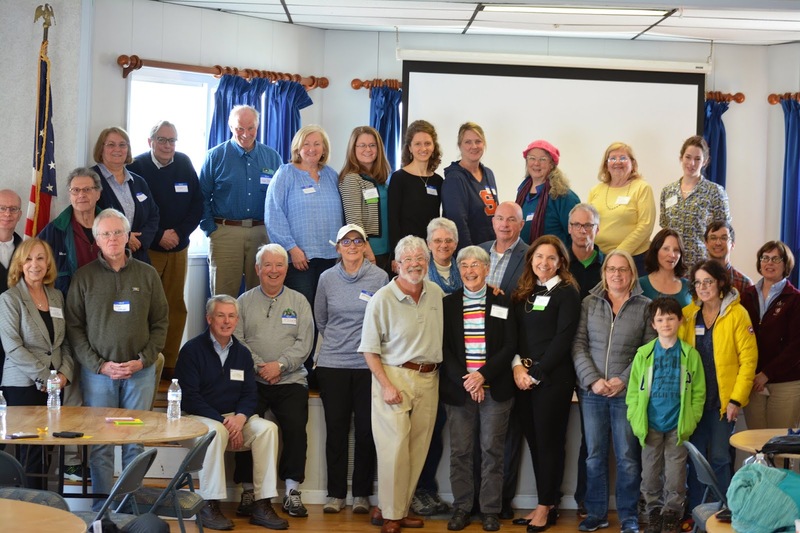 To kick off discussion Save the Harbor/Save the Bay, which leads and manages the Commission for the Commonwealth, presented information on the history and mission of the Metropolitan Beaches Commission and current issues of concern. Save the Harbor’s Director of Strategy and Communications Bruce Berman discussed previous findings and recommendations, on-going discussions of marine mammal disposal and parking management, and provided an update on the progress that has been made to identify the causes of water quality concerns at Tenean Beach and make plans for improvement. What beach lovers and resident appreciate most is the work the DCR puts in to keep the beaches in Dorchester looking nice, including sand raking at Savin Hill and maintaining the playground at Tenean Beach. Several folks also noted how much they enjoy the boardwalk at Savin Hill as a resource for daily walks, runs, and seasonal events. In terms of improvements, participants would like to see new fencing, more trash barrels with lids, a plan to deal with the invasive species phragmites, and more trash pick up in the parking lot at Savin Hill Beach. In addition, there are still serious concerns about the water quality issues facing Tenean Beach and a strong desire to see a resolution to the problems there. Finally, groups identified a need for toilets at Savin Hill beach, toilets open year round, and the completion of the Neponset Greenway at Tenean Beach so that the path runs from Milton to Castle Island in South Boston. After the breakout sessions each group reported to the crowd the highlights of their discussion. The Commission closed by thanking everyone for their input and inviting them to a regional review hearing on May 18th from 10am-12pm at UMass Boston where the MBC will present their findings and recommendations for Dorchester’s public beaches and ask attendees to give feedback before the report is finalized. If you have questions, or would like to provide your input but were unable to attend the hearing, the Commission accepts comment via email at mbc@savetheharbor.org or through the online survey found at tinyurl.com/BeachesSurvey. The survey is also available in Spanish and Chinese.